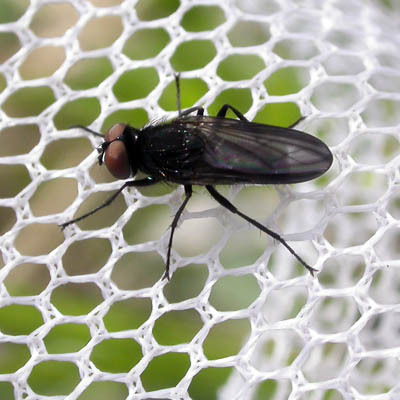 My guess is Anthomyiidae or Muscidae. I have no idea what this could be. 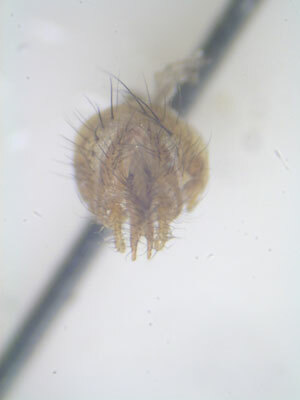 May be..."Anthomyia illocata Walker" Anthomyiidae is comon japanese species. 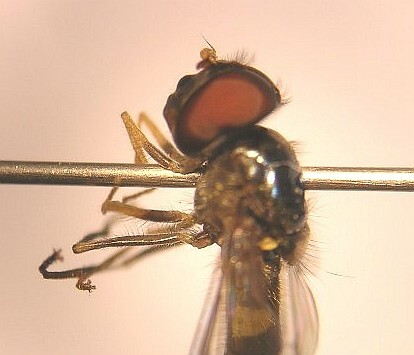 A. illocata does not seem to possess the white ring on thorax visible on this image. 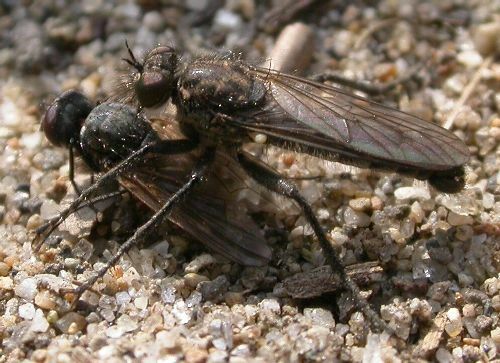 Thorax has grey-slilver dust ,and black belt under thoracic suture." 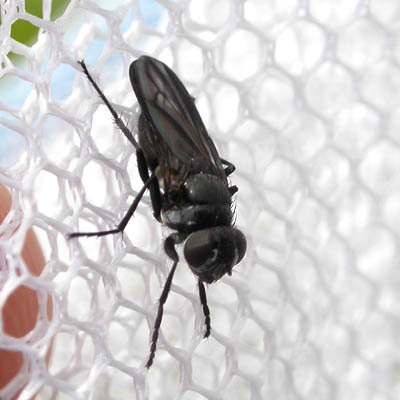 As far as I remember this fly was entirely black, black abdomen with notably the wings appearing blackish too. Not silvery or gray as most of the common Anthomyiidae. 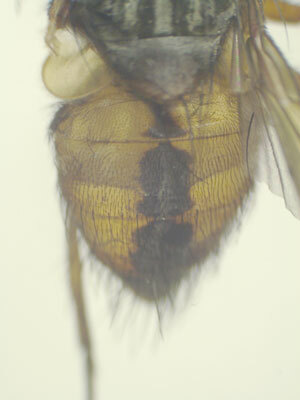 The only notable feature was the white ring on the otherwise black thorax. I made this picture at an altitude of 1500m in Odaigahara Nara prefecture. 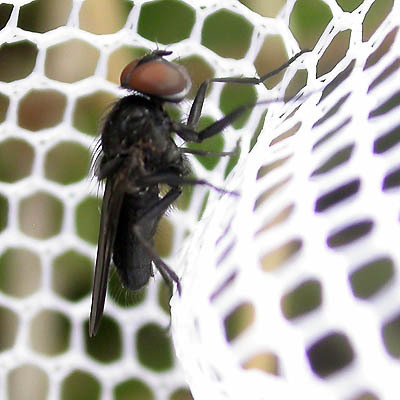 I enclose a different image, which shows the fly from different angle. 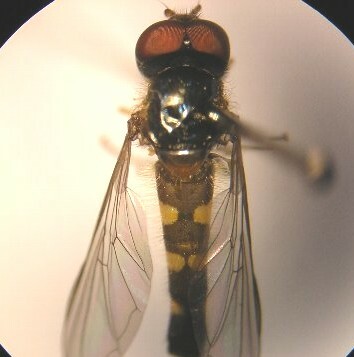 Anthomyia illocata Walker is not black wings. Your image is different species. 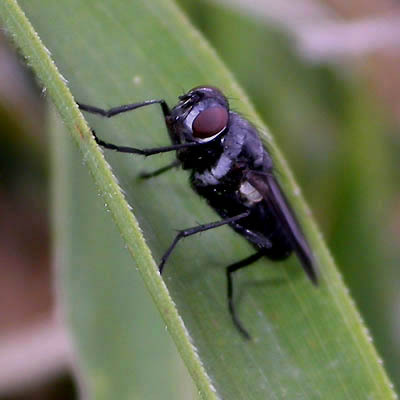 I don't know Black wings Muscidae. 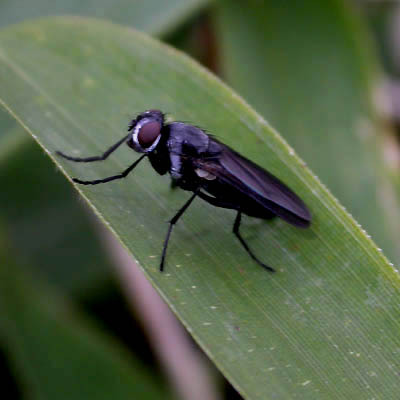 black wing fly is known Tachinidae. but,your phot,can not seem wing vien. 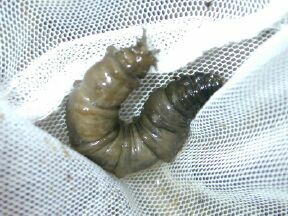 Two days ago I caught a similar species. 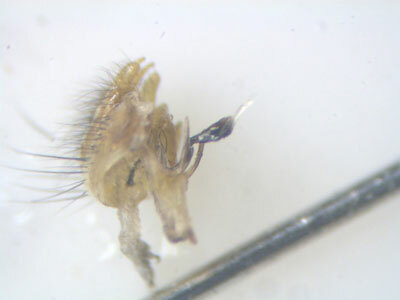 It is probably the same or very closely related genus. I made more photos from variuous angles. 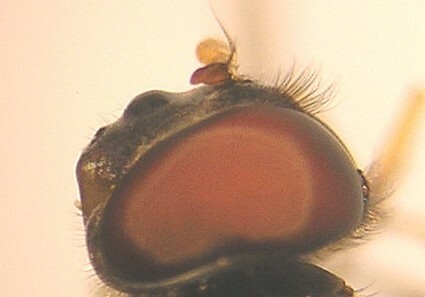 This image has subsucttelum, under suctellum.